MELVILLE, N.Y., February 14, 2017 – Developed and designed to meet the varying needs of entry-level and advanced amateur photographers, Canon U.S.A., Inc., a leader in digital imaging solutions, today announced two new additions to the celebrated EOS system – the EOS Rebel T7i DSLR camera, which adds to the popular Rebel series of entry-level DSLR cameras, and the EOS 77D DLSR camera, which represents a new category of cameras for advanced amateur photographers. Canon also introduced today the new EF-S 18-55mm f/4-5.6 IS STM lens and Wireless Remote Control BR-E1, as well as added functionality for the Canon Connect Station CS100. “In what marks the 30th year since the introduction of the Canon EOS System, the announcement today of these two new DSLR cameras exhibits Canon’s commitment to providing our customers with the tools they need to grow their passion for capturing the best possible pictures of the moments in time that mean the most to them, or inspire them to one day shoot professionally,” said Yuichi Ishizuka, president and COO, Canon U.S.A. Inc. The EOS Rebel T7i and EOS 77D both feature an optical viewfinder with a 45-point All Cross-type AF system* to help enable more precise focusing. In live view mode, both cameras utilize Canon’s Dual Pixel CMOS AF to deliver the world’s fastest AF focusing speed of 0.03 seconds.1 This technical achievement allows users to find their subject, focus accurately, and capture the shot more quickly than ever before. Both models also have built-in Wi-Fi®2, NFC3 and Bluetooth®4 technology for easy transfer of images. The EOS Rebel T7i is the first camera in the EOS Rebel series with a 45-point, all cross-type AF system* within the Optical Viewfinder. It is also the first in the series with Dual Pixel CMOS AF with Phase-detection and the first with a DIGIC 7 Image Processor. Creative filters for both still images and video will allow users to customize the look and feel of their content in new and imaginative ways. When designing the new EOS Rebel T7i, Canon took into consideration feedback from entry-level photographers who expressed interest in learning to go beyond the program mode of a DSLR camera. Users will now be able to see on-screen how switching modes on the mode dial or tweaking settings can alter the image they are about to capture, guiding photographers on their way to capturing more compelling images, such as ones with a shallower depth-of-field or being able to give moving-subjects a frozen or flowing look. The Canon EOS Rebel T7i is scheduled to be available in April 2017 for an estimated retail price $749.99** for the body only, $899.99** with the new EF-S 18-55mm f/4-5.6 IS STM lens and $1,299.00** with the EF-S 18-135mm f/3.5-5.6 IS STM lens respectively. For more information please visit, usa.canon.com/eosrebelt7i. 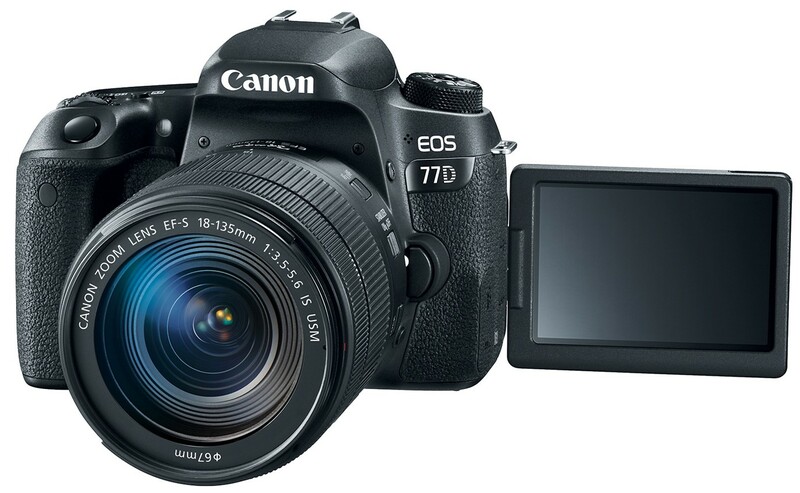 For advanced amateur photographers looking to expand their knowledge and experience with DSLR cameras, Canon’s new EOS 77D is the ideal next step camera for them. The EOS 77D represents a new category of advanced amateur EOS cameras, a step above the Rebel series. Users of the EOS 77D DSLR camera will benefit from features like the 7650-pixel RGB+IR Metering Sensor, similar to the one found in the EOS 80D camera and Anti-Flicker shooting mode to help combat the on-and-off repetitive flickering from artificial lights found in high-school gyms or auditoriums. The EOS 77D also features a top LCD panel and quick control dial for photographers who desire quicker and easier access to changing and controlling settings on the camera. The Canon EOS 77D is scheduled to be available in April 2017 for an estimated retail price $899.99** for the body only, $1,049.00** with the new EF-S 18-55mm f/4-5.6 IS STM lens and $1,499.00** with the EF-S 18-135mm f/3.5-5.6 IS USM lens respectively. For more information please visit, usa.canon.com/eos77d. 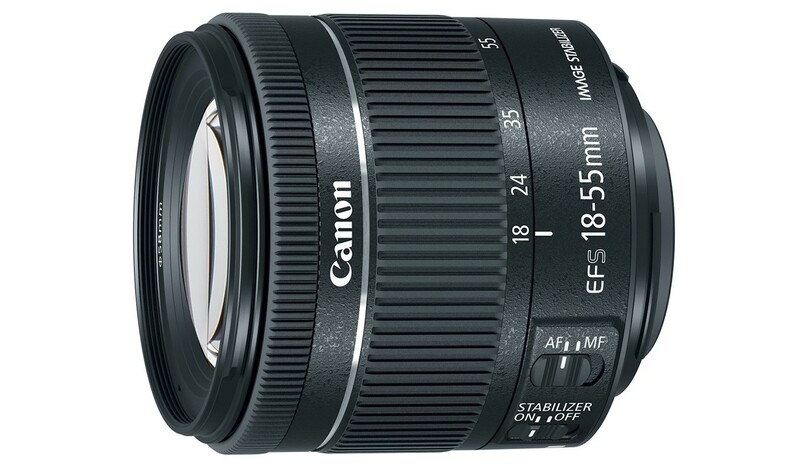 The Canon EF-S 18-55mm f/4-5.6 IS STM lens is scheduled to be available in early April 2017 for an estimated retail price of $249.99**. For more information please visit usa.canon.com/efs1855stm. In addition, Canon is introducing it’s first-ever remote utilizing Bluetooth® technology3, the Wireless Remote Control BR-E1. This new remote allows photographers to capture images from within a 16-foot radius of the camera. This camera accessory is useful for photographers who are looking to capture images remotely in situations where there could be issues with signal reception or line-of-sight to the camera. 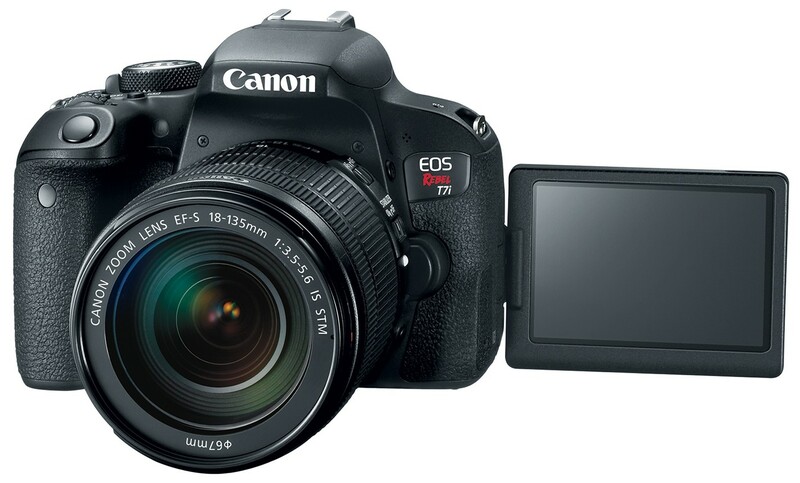 The Canon Wireless Remote Control BR-E1 will be compatible with both the EOS Rebel T7i and EOS 77D cameras. The Canon BR-E1 is schedule to be available in April 2017 for an estimated retail price of $50.00**. Canon U.S.A., Inc., is a leading provider of consumer, business-to-business, and industrial digital imaging solutions to the United States and to Latin America and the Caribbean markets. With approximately $29 billion in global revenue, its parent company, Canon Inc. (NYSE:CAJ), ranks third overall in U.S. patents granted in 2016† and is one of Fortune Magazine’s World’s Most Admired Companies in 2016. Canon U.S.A. is committed to the highest level of customer satisfaction and loyalty, providing 100 percent U.S.-based consumer service and support for all of the products it distributes. Canon U.S.A. is dedicated to its Kyosei philosophy of social and environmental responsibility. In 2014, the Canon Americas Headquarters secured LEED® Gold certification, a recognition for the design, construction, operations and maintenance of high-performance green buildings. ** Availability, prices and specifications subject to change without notice. Actual prices are set be individual dealers and may vary. 4 Compatible with select smartphone and tablet devices (AndroidTM version 5.0 or later and the following iOS® devices: iPhone 4s or later, iPad 3rd gen. or later, iPod Touch 5th gen. or later) equipped with Bluetooth® version 4.0 or later and the Camera Connect App Ver. 1.3.20 or above. This application is not guaranteed to operate on all listed devices, even if minimum requirements are met. 5 Based on CIPA (Camera & Imaging Products Association) standards. Testing performed using the EOS 7D Mark II digital SLR camera at a focal length of 55mm, 35mm-equivalent 88mm. The number of stops may vary based on the camera model used. 6 Compatible with iOS® versions 8.4x/9.2.x, Android™ Smartphone and tablet versions 4.4.x, 5.0.x/5.1.x, 6.0.x. Data charges may apply with the download of the free Canon Connect Station app. The application is available in the Apple app store or Google play store. 7 Support for playback of all images on this device cannot be guaranteed. 8 JPEG and RAW (CR2) still images, and MOV/MP4 and AVCHD movies are supported.